Welcome to Monday!! Hopefully, all of you had wonderful weekends! We definitely did!! This morning I was blessed with a beautiful surprise, and the entire course of this morning’s post changed! My sweet little grandmother from New Jersey called and let me know she flew into town and is in Atlanta! How exciting! Craig is still in town, so we are meeting her this evening after work and taking her to dinner. Empire State South – This little gem in the heart of Midtown Atlanta not only is a go-to for dinner. They offer breakfast, brunch and lunch, as well – not to mention some delicious desserts and libations! It’s a classy, casual setting – and perfect for out-of-town guests, as many of it’s food options are regionally delicious. OK Cafe – While not even close to ‘fancy’, this is an Atlanta classic with DELICIOUS food and if you’re in the mood for comfort in a diner setting, this is the place to go! Breakfast, lunch, dinner, take-away – it’s all awesome! I highly recommend the Rocket Burger. Yum! Pompeii Pizza – Located in Elk River, Minnesota (about an hour outside of the Twin Cities), we read rave reviews about this local pizzeria in Midwest Living magazine – and just had to try it out. It was delightful – This Italian girl can attest to pizza worth ‘wasting’ calories on, and this is it! Not only were their pizza and salads yummy, Craig found some local brews he was pretty impressed with, as well! Chatterbox Pub – This neighborhood bar/restaurant in St. Paul, MN, will always remind me of our dating days. It’s one of the first places I went with Craig & his family, one of the first visits I ever made to Minnesota – fond memories for sure! 🙂 The food was tasty; the drinks were satisfying and there were even games to play while you waited for your food. Perfect! 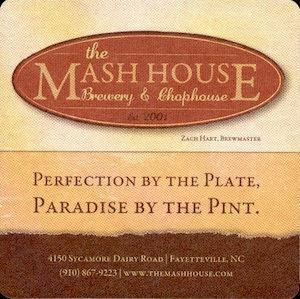 The Mash House – This brewery/restaurant came highly recommended by my parents on a trip to the town in which I spent a good portion of my childhood – Fayetteville, North Carolina. Craig and I paid them a visit last year and were in no way disappointed! Steaks, shrimp, pasta, fish, sandwiches, burgers, salads, brewed-in-house beer… We may just go back simply to eat there again! What are your go-to restaurants? 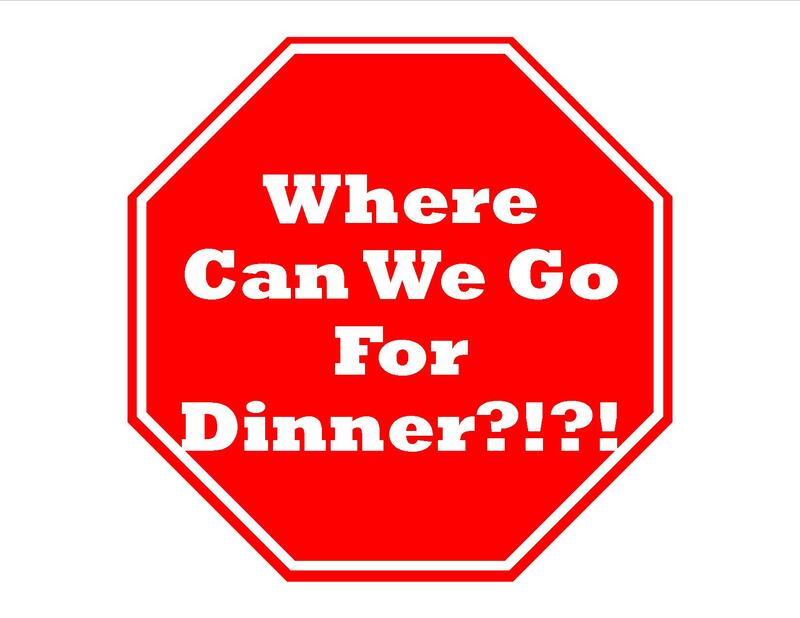 Let us know, and we just may meet you there for a bite! Next Post Call me cRaZy!!! Yum!! I gave up all carbs/gluten/sugar etc for Lent… Noodles and anything sandwich (i.e. Panera) related sound mouthwateringly delicious to me right now! We should certainly meet up one day!! That sounds like such fun! Around Newnan, we usually take people to Fabbiano’s at the Alamo or Thai Heaven. If we’re venturing into Peachtree City, it’s Grazing Here or Smokey Bones. If we’re picking up someone from their layover hotel for a quick dinner, we usually take them to Jim and Nick’s Barbecue in Smyrna, Yeah! Burger, or the original Chick-fil-a Dwarf House in Hapeville.